For months, fans have been waiting for one of their favourite B-town actors, Irrfan Khan to return to the big screen. The Piku star was diagnosed with a neuroendocrine tumour last year and flew to London for treatment, resulting in him taking a sabbatical from showbiz. Now recovered and in good health, Irrfan is reportedly back with a bang. According to Pinkvilla, he will be making a comeback with the sequel of his 2017 hit Hindi Medium. The film will be helmed by Homi Adajania and the news of the reboot was confirmed by producer Dinesh Vijan. While Pakistani A-lister Saba Qamar made her Bollywood debut with the first installment, she will allegedly be replaced in Hindi Medium 2. Latest reports suggest, Bollywood starlet Kareena Kapoor Khan is in talks to play the leading lady opposite Khan. 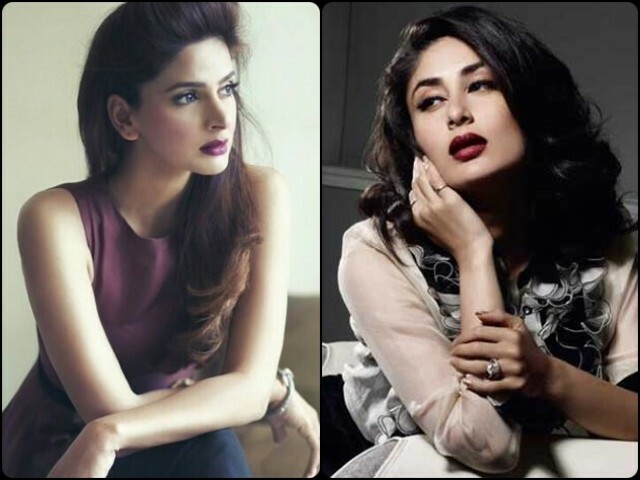 While the makers have approached Kareena to join the cast of the film, the Ki & Ka star has not signed the project yet. If she does take on the role, this will be her first-ever collaboration with Irrfan. Hindi Medium is based on the struggles of the pre-school admission of a child and Irrfan plays the role of her doting father. The film revolves around a newly-rich, Chandni Chowk couple that doesn’t want their daughter to go through what they did in a government school, just because their parents couldn’t afford anything else. Now that they have the means, Mittu (Saba) and Raj (Irrfan) finally decide to get their daughter admitted into the Delhi Grammar School only to realise it takes a lot more than money to get accepted in an education system that relies heavily on class supremacy. Hindi Medium went on to be one of the biggest hits of 2017. Irrfan also was awarded the Best Actor award for the same by Filmfare. The movie also opened to a flying start in China. Backed by T-Series and Maddock Films, it released in China on April 4, 2018, and made $3.68 million on its opening day. Both Irrfan and Saba’s performances left a lasting impact on the audiences. It’s safe to say Hindi Medium did for Saba what Kapoor & Sons did for Fawad Khan. But, will Kareena do justice to the role if she signs Hindi Medium 2? Only time will tell.